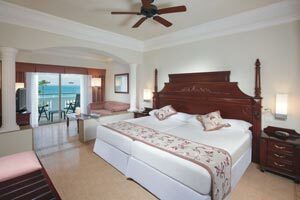 The rooms at Hotel Riu Palace Las Americas are perfectly equipped to offer you maximum comfort. 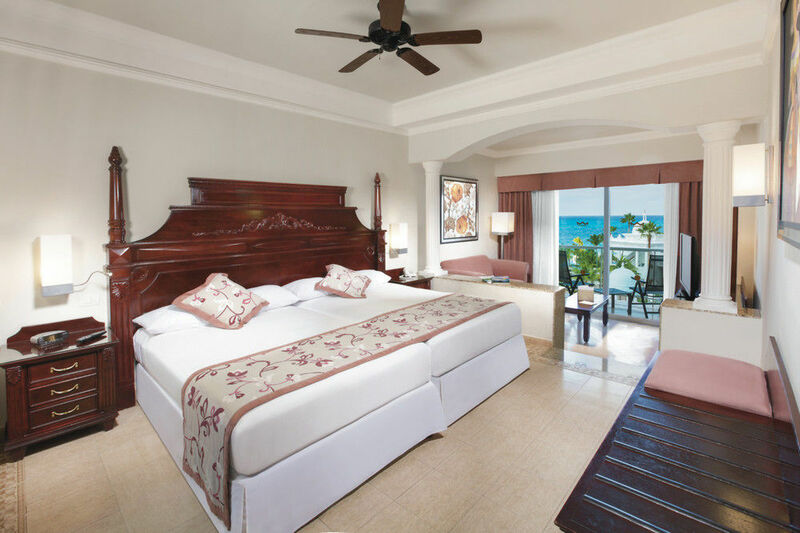 The more than 350 rooms of this Adults Only hotel in Cancún have satellite TV, free Wi-Fi, air conditioning, a minibar, a coffee machine and drink dispensers, as well as Riu Hotels & Resorts' characteristic exclusive service. 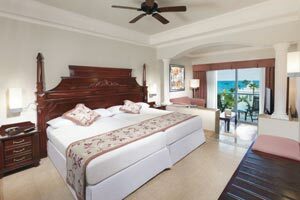 The Junior Suites at the Hotel Riu Palace Las Americas have everything you need to enjoy an unforgettable holiday in Mexico. These 35-m2 rooms have two small double beds (125x200 cm) or one king-size bed (200x200 cm), a sofa in the lounge area, WiFi, satellite TV, air conditioning, a minibar and beverage dispenser, and a coffee maker. 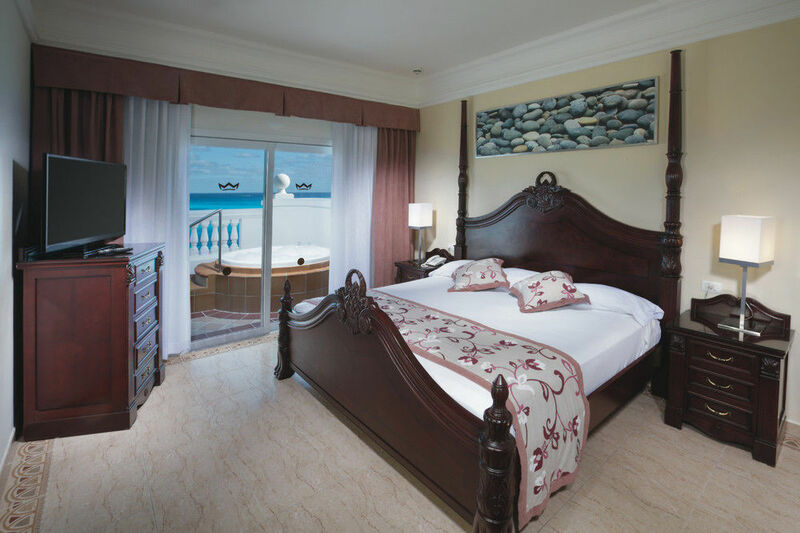 If you want to enjoy a stay with the best services and amenities, the Sea View Jacuzzi Suites at the Hotel Riu Palace Las Americas are the perfect option. In these 61-m2 rooms, you'll find one king-size bed (200x200 cm), a sofa bed in the lounge area, WiFi, satellite TV, air conditioning, a mini-fridge, and a coffee maker. Plus, on the terrace, with its sea views, you'll find a jacuzzi for relaxing to the utmost. 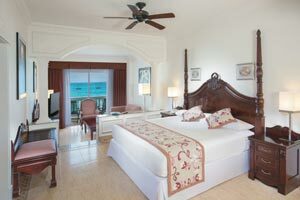 The Sea View Junior Suites at the Hotel Riu Palace Las Americas are perfectly equipped to offer you maximum comfort. 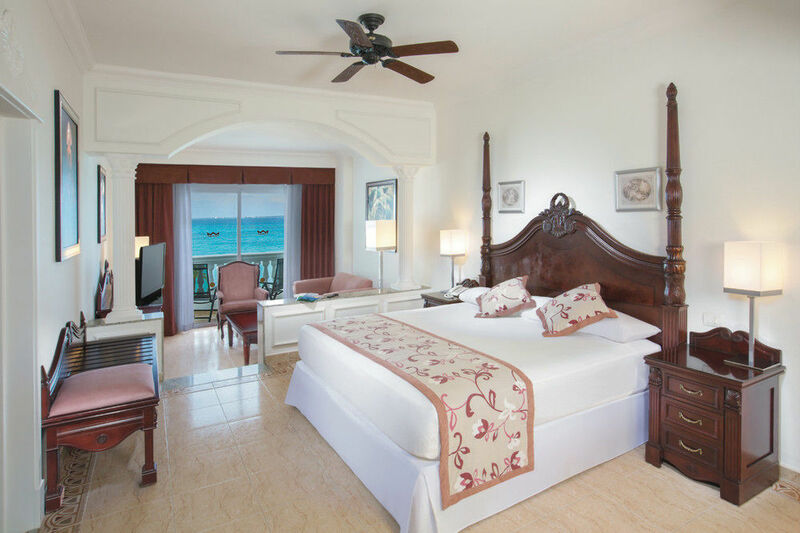 These 35-m2 rooms have two small double beds (125x200 cm) or one king-size bed (200x200 cm), a sofa in the lounge area, WiFi, satellite TV, air conditioning, a minibar and beverage dispenser, a coffee maker, and a balcony or terrace with incredible views of the Caribbean. 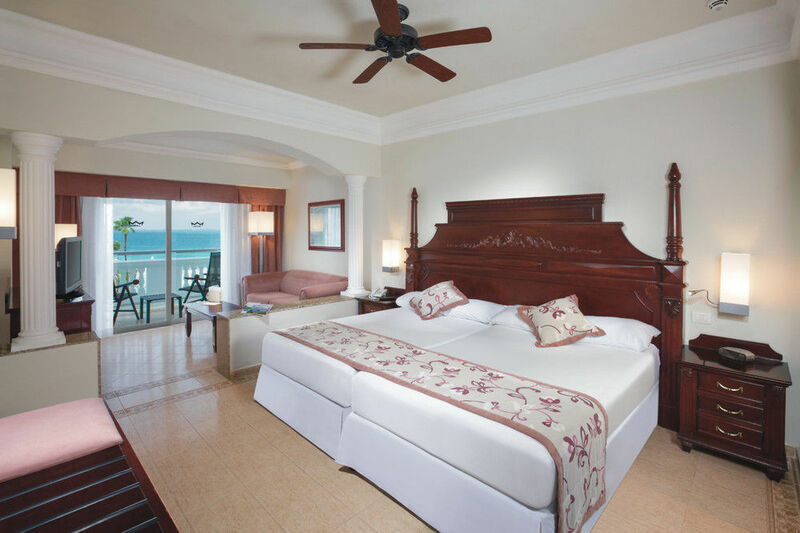 The Hotel Riu Palace Las Americas offers you Seaview Suites, accommodation equipped with everything you need for an unforgettable holiday. In these 70-m2 rooms, you'll find one super king-size bed (200 x 200 cm), a sofa in the lounge area, a dressing room, WiFi, satellite TV, air conditioning, a minibar and beverage dispenser, a coffee maker, and a balcony or terrace.